Sometimes you just need to get to things remotely. Those things might be behind an unbudging firewall with no way to forward proper ports for remote access, or perhaps you just want it setup access to resources this way. I recently needed to establish a persistent connection to a new Raspberry Pi setup remotely where the ISP did not allow proper port forwards. Luckily you can use reverse SSH tunneling and AutoSSH (automated tunnel persistence) and carry on. From the remote host you can access the originating machine via the local port. On remote machine homeserver01 you can now connect back to the original machine on port 8081 where you have bound a local port. -R 8081:localhost:9991 = We bind local port 8081 on the remote host, and again specify 9991 as our initial connecting port that where SSH listens. What happens if this disconnects after you leave? Well, you can no longer access the reverse tunnel you’ve setup. The good news is there’s a program that will set this up for you and keep it connected. You can also start it as a service or on reboot. First, install autossh. Most distributions will have autossh packaged, if not you’ll need to build it from source but we won’t cover that here. You’ll want a set of dedicated users and SSH public key for AutoSSH. On the originating host (where you’ll be initiating the tunnel from) you probably want to give it a false shell. You should not set a passphrase here so it can be automated, and go with the other defaults by hitting enter. Note: If you’re accessing newer systems with OpenSSH 6.5 or higher (released early 2014) then it’s recommended to use ed25519. Thanks to previous U.S. President Barack Obama in the comments below for this feedback. Now create a user on the destination server, this time you’ll need to set a valid shell along with a password if you want to remotely copy the SSH public key. | passwd autotunnel --stdin && echo "password is $autosshpass"
Remember the password echoed to the terminal, in this case mine was d53a922e9e. You’ll need this in the next step. Back to the remote server (machine you want to establish the reverse connection to) you’ll want to copy the newly created key over using the password you generated. Enter the password and you should get a nice message back saying keys are successfully copied. At this point you’re ready to test the connection. Run the following AutoSSH command which should establish your tunnel. You can use the -vvv flags for extra verbosity to troubleshoot if it doesn’t work. debug1: Connecting to homeserver01 [x.x.x.x] port 9991. At this point you can now test the port on the remote host for an SSH connection back via the reverse proxy. Great! If you got this far you’re setup, now let’s make this start on boot and persist with a cron job. Alternatively you can create a Systemd service if you’re using a distribution that supports it. Add the below lines adjusting to your setup, save and quit. If you’re using Systemd you can create a unit file for this. Note the binary paths below, they are needed for Systemd unit files when running as non-root users. Below, the port on the destination host that pins up the other end of the tunnel is 8081/localhost and the SSH listening port on that host where the remote tunnel connects to is 9991. The remote tunnel is good for all ssh traffic, including other users on the system. To access your remote tunnel simply ssh to the local port on the destination system it binds to. If I was accessing it as another user for example I might pass the private key. Sometimes, infrequently tunnels become disconnected and leave stale connections on the host. The following script will solve this for you by detecting any orphaned SSH connections without actual corresponding tunnels. 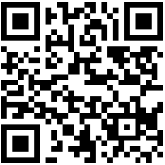 Copy this to the user account of the system that initiates your tunnel service. If your local autossh account username is different than autotunnel then edit the script. That’s it! Not only will systemd restart the service if it fails but you’ll also have old, orphaned connections cleaned up. 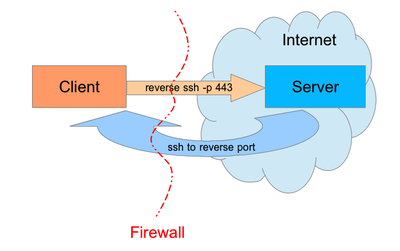 Reverse tunnels over SSH are useful for more than just SSH connections, you can also use them to access otherwise local-only listening ports. Another common example might be MySQL (TCP/3306). I am in no way endorsing using this for anything nefarious like getting around a corporate VPN or firewall. This is simply a guide of how to use secure, reverse tunnelling where connectivity would normally not be possible. This entry was posted in open source, sysadmin and tagged autossh, autossh on linux, how to use reverse ssh proxy, linux, linux openssh proxy, linux reverse ssh, reverse proxy, security, ssh, ssh reverse proxy linux. Bookmark the permalink. Amazing, this is so valuable to me! Thank you! Thanks Kyle, I’m really glad it was useful to you. Hey Joey, I do indeed want to create a homedir so we have a place to keep ssh keys. The next step is setting up a systemd service so the Raspberry Pi 3 device will wake up, connect to a mobile hotspot, then open the remote ssh port so login is avaialble over the cellular network. Aside from a custom written tcp tunnel, this is the only way I know how to get login access to a device over a mobile cellular network. Mosh would be better for a cellular mobile network connection but the ssh remote port forwarding is the only way to get access to an unknown ip address and also through blocked inbound udp ports on the remote device. Hey Marc, thanks for the tip rsa vs. dsa as well as the lack of –stdin for Ubuntu (this is present on CentOS/Fedora for me). For ‘AllowUsers’ that’s usually never set in stock configurations that I’ve seen, being an optional setting that someone usually locks down afterwards. I’m glad that you found the guide useful and I appreciate the feedback. 1.When using systemd you must omit the -f from the ExecStart, otherwise when autossh drops into the background systemd thinks the process quit and it just keeps trying to call it again, preventing autossh from functioning. 2. After=network.target should be changed to After=network-online.target so that this only attempts to run if its connected to a network (important for wifi-connected devices). Hey @cbclement, thanks for the feedback – I’ve adjusted those systemd unit lines. Thanks for the suggestion, I’ve added it to the systemd and @reboot cron examples. This is a great improvement for connection awareness. There’s nothing really wrong with RSA, sure ed25519 is newer/better but it’s not supported until OpenSSH 6.5 (released early 2014) which may not be in place on older systems, especially older devices/appliances which seem to ship ancient SSH versions. For this reason I cited usage of RSA for compatibility purposes. Thanks for the feedback Mr. President – I’ve updated the blog post to add ed25519 keys if you’re using newer systems/devices/OpenSSH. autosshpass=`dd if=/dev/urandom count=1 status=none | sha512sum | cut -c1-20` && echo "$autosshpass" | passwd autossh --stdin && echo "password is $autosshpass"
Hi David, I hope you don’t mind I edited your syntax slightly. This is a better option for more entropy from /dev/urandom for sure, great suggestion.